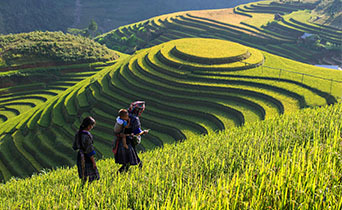 Welcome to the destinations in the north of Vietnam, this 9 days tour will bring you a gateway to another world of mysterious minority cultures and luscious landscapes where you can step back in time to see the way of living is still unchanged and make your holiday unforgettable. 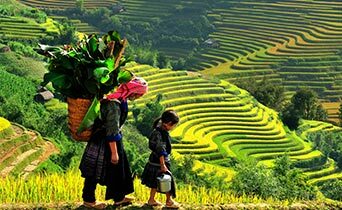 The Vietnam holiday escapes tour is our most compact program that invites you to experience Vietnam's geography and culture. Don't miss the opportunity to visit this land which is full of amazing corners! 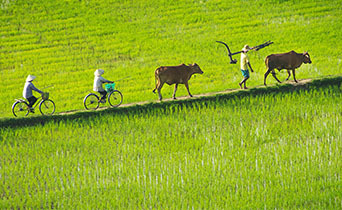 This journey will take you to the most favorite destinations of Vietnam. The tour will not only a relaxing holiday but also a journey in a lifetime that you can observe, experiences and particapate in genuine local lifestyle and culture. “Kong: Skull Island” film shooted recently in Vietnam: Halong Bay, Trang An complex, Van Long Natural Reserve etc. You will be really impressed and would like to follow the Kong's footsteps to visit the places that shooted in the film through this 5 days tour. 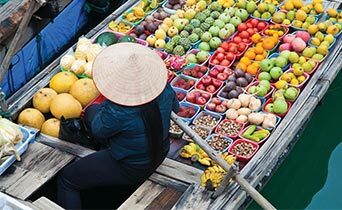 On this tour you will enjoy a comprehensive look at Vietnam and Cambodia and it will be an experience you will treasure always. 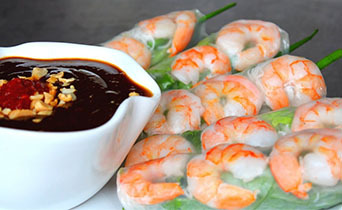 Welcome to special 14 days program for Kosher group in Vietnam. You will have chicken or meat during meal at Chabad house in Ha Noi and Ho Chi Minh city. At other cities, most of the dinners will include fish and vegetable. Welcome to Vietnam and Cambodia in this program 12 days program, the Vietnamese and Cambodian are friendly and always smile with you - the Jewish. We offer exquisite natural scenery and some of the warmest, friendliest people you ever will meet. 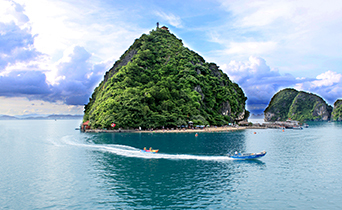 The central of Vietnam is known as a peaceful place with friendly local people, their special characteristic and traditional life style and the most beautiful beaches of country. 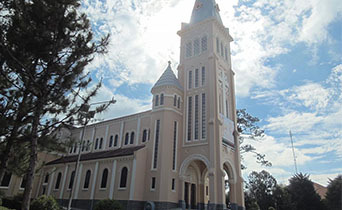 This tour will connect travelers to UNESCO heritage sites. 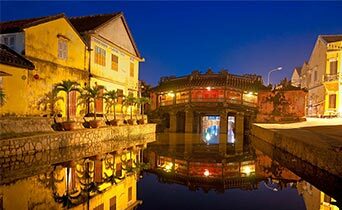 This tour is designed for those who have limited time but wish to travel through the heart of south Vietnam. 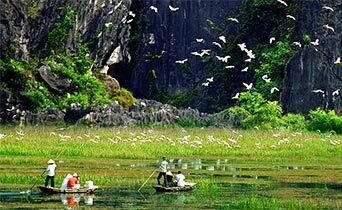 With this trip, you will visit the most interesting sights in the south of Vietnam including Mekong delta and Cu Chi tunnels. 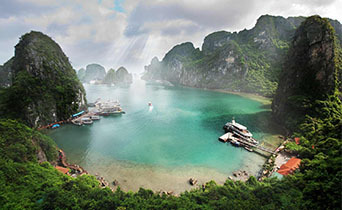 Travel and explore the ancient Hanoi city, admire the beauty of nature in UNESCO Heritage Site of Trang An and World's 7 Wonders of Ha Long bay. 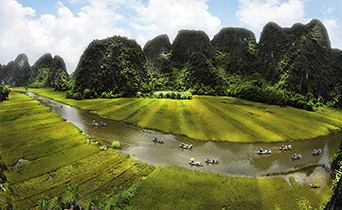 The tour offers classic routine that brings great opportunity to see all the best of North Vietnam in 5 days. 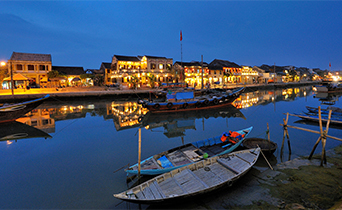 Short trip but long memories, this 5 days lively tour offers a complete picture of South Vietnam from Sai Gon to the Mekong delta. During the trip you will experience the most remarkable sites.